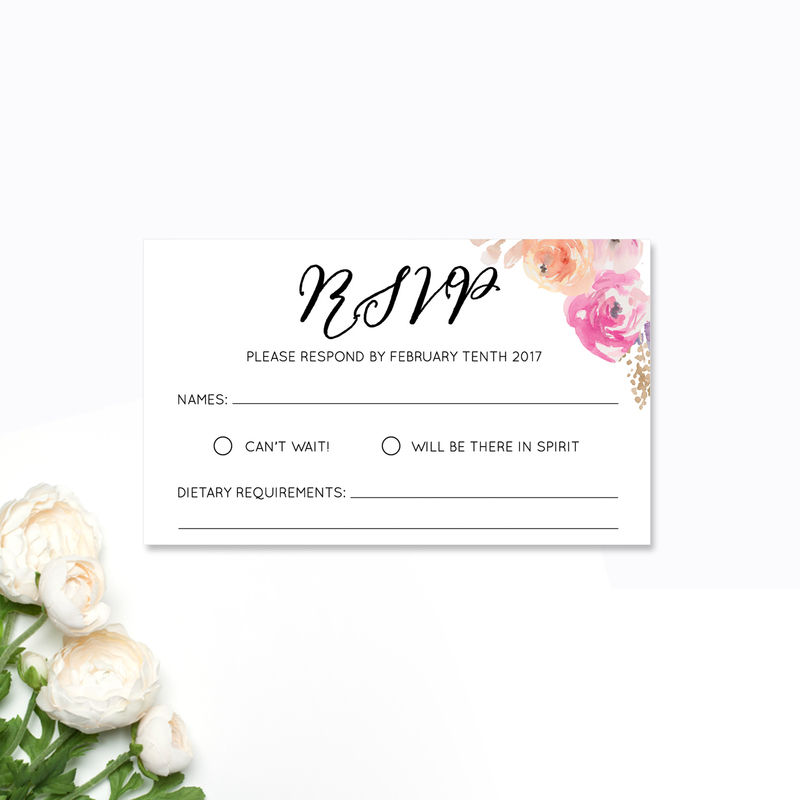 A reply, response or RSVP card plays an important role in the wedding planning process, as they allow you to work out final guest numbers. 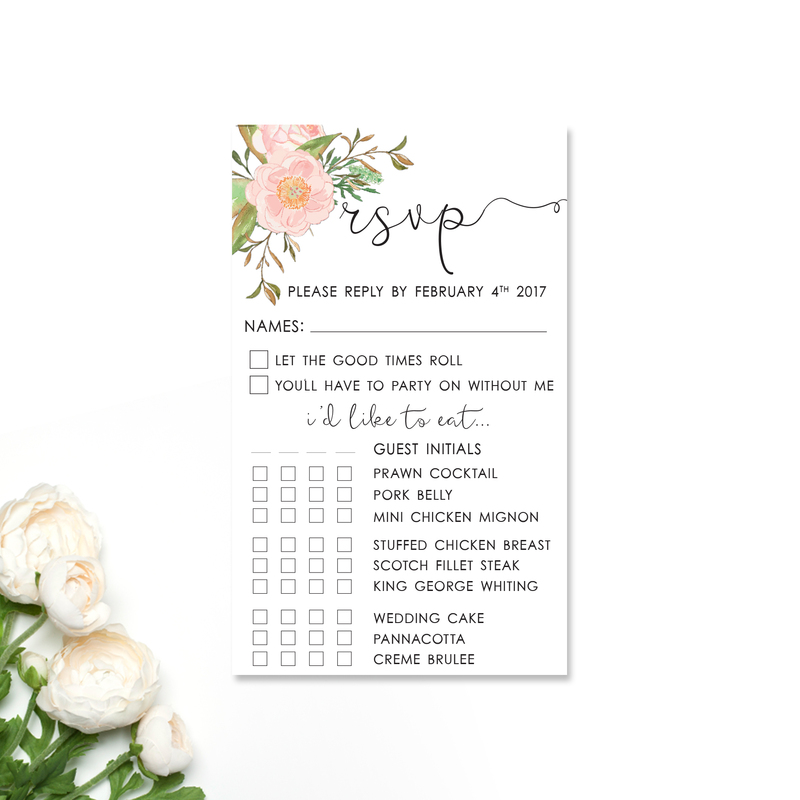 RSVP cards can include other important information such as food selections, dietary requirements, seating requests or music suggestions. 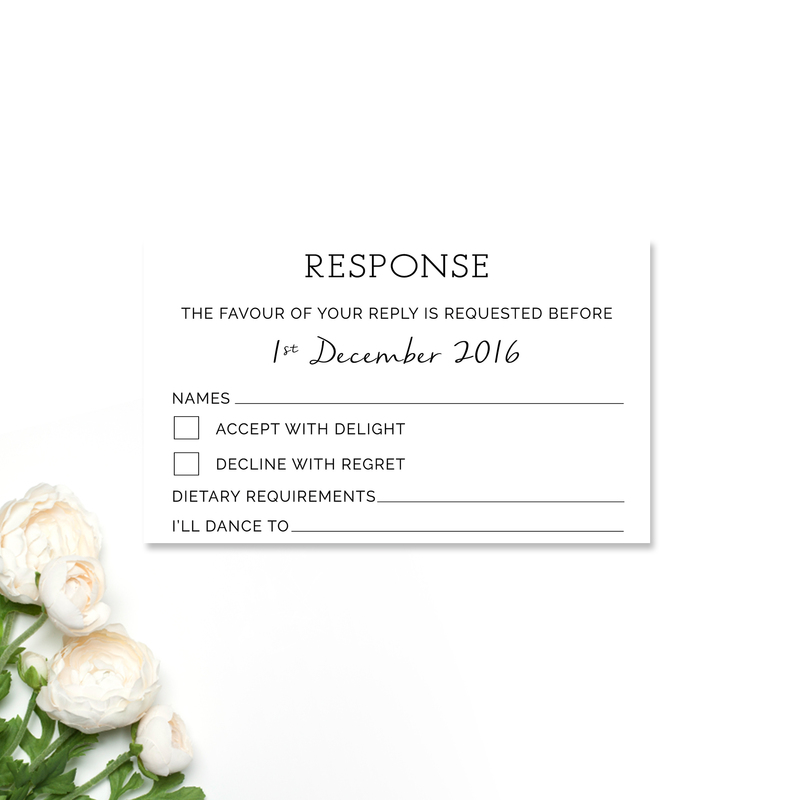 Our reply cards can be customised to match your theme and invitations, with a range of sizes and print options available. 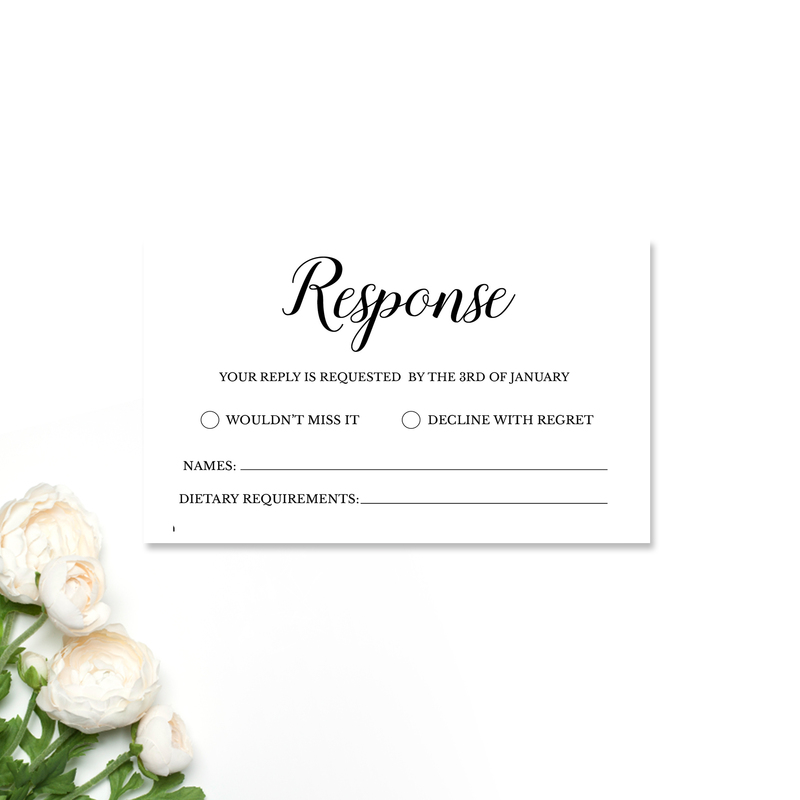 It’s important to leave 2 – 4 weeks between your RSVP date and the actual date of your wedding, being mindful that your reception will have a specific date they require final numbers (and usually payment!) by. 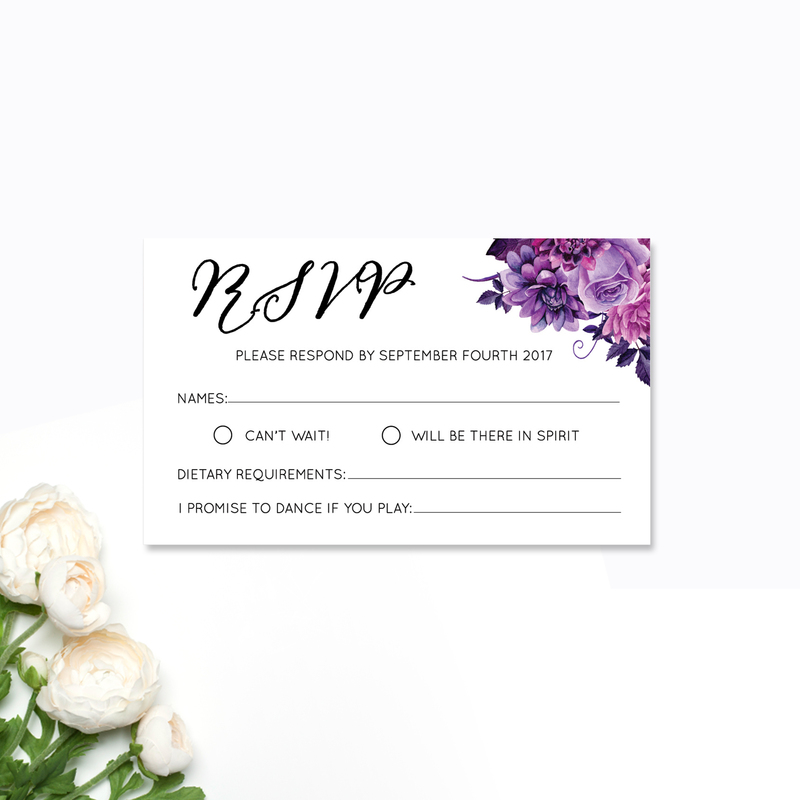 Browse our traditional RSVP cards below or check out some more wording examples here.